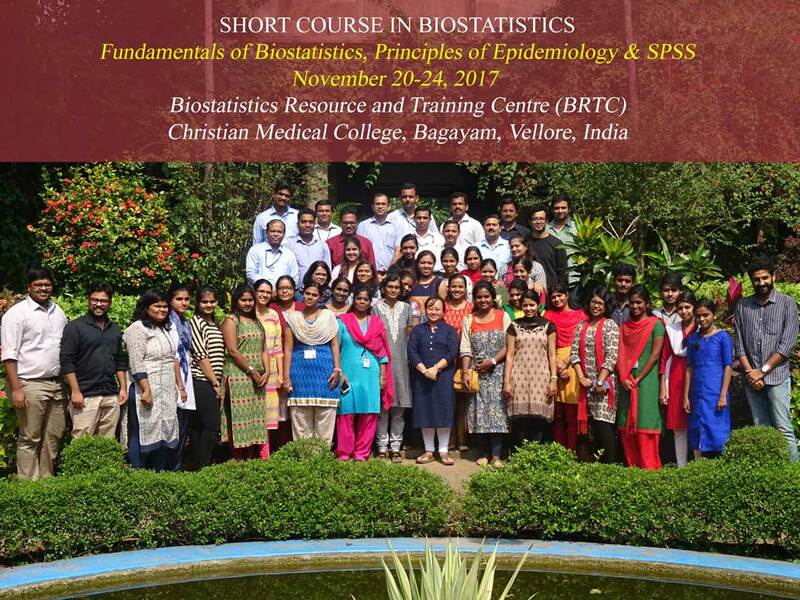 his course is intended to introduce principles of Biostatistics, in a simpler manner to researchers who are in need of statistical application. This course is also intended to introduce principles and illustrate some of the basic methods of epidemiologic research and to improve the participant's ability to understand and use appropriate statistical procedures. Course Fee should be paid in full by November 13, 2017.